St. Maarten is a magical island with crystal clear waters and amazing beaches, however if you are looking for more you just need to ask to your personal concierge and you will be zip lining through the Rain Forest on Loterie Farm’s zip lines and then relax in their pools. What about Golf? Enjoy a Mullet Bay golf course, the only place to tee off on the island. Or hit the greens at the neighboring island. 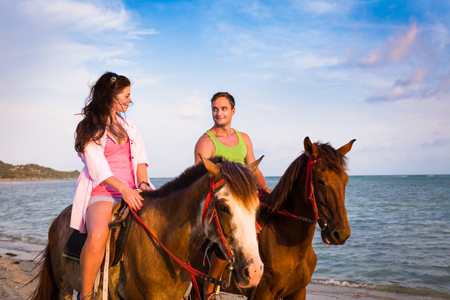 If you are looking for even more you can hop on a stallion and explore your inner equestrian with a horseback ride across the sand. Here in St. Maarten you can reconnect with nature and have fun at the same time. Come and do it all.